We're happy to announce that, as of November 2013, more than 350,000 musicians¹ throughout the world are using Cadenza to tune their instruments and rehearse! 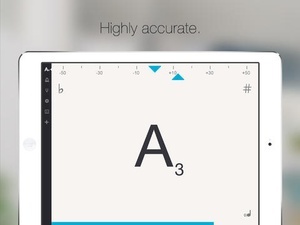 Cadenza bundles a highly accurate tuner, a versatile metronome and a pitch pipe. t's a solid rehearsal tool that's always in your pocket when you need it. Whether you've just got your first six string or you're a professional violin player performing in front of thousands, you will certainly benefit from the low latency, clean user interface and high accuracy our app offers. “t was the best found. s useful for basic historical tuning with by Bachlover “’ve probably downloaded over a dozen different tuner and metronome applications but this is the best tuner ’ve found. 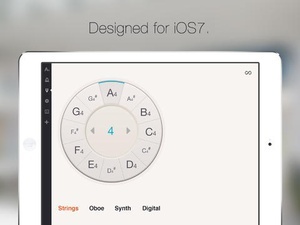 recommend it to all my students to help them tune at home and for the basic metronome. ’ve been using this for at least a year and ’ve found it to be most accurate tuner, and the most intuitive for my younger learners. 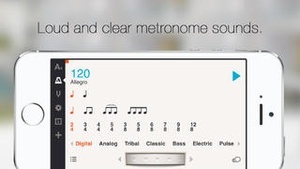 The metronome gives you plenty of control and different sounds, nothing to complain about there either.” by string teacher VivaViolas “The app was great before and it just got better. The developer implemented several request from its users in its update.” by Museike “ am a music student in high school and was suggested to get a tuner app. 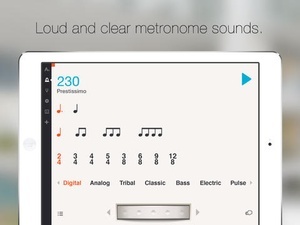 When first found this app six months ago, thought it was a simple and easy to use app that came with a metronome. With the update, it got even better. The pitch pipe, new signature, and easy iOS 7 interface in portrait and landscape views makes it the best app on the market for musicians. Keep it up!” by Jpwizard6329 Thanks for your support and great feedback you've sent us! 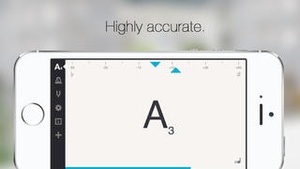 Essential features friendly user interface designed for iOS7 portrait and landscape mode highly accurate wide pitch detection range (from to adjustable frequency (from 410Hz to 450Hz) transposition solfège or scientific notation flat or sharp notation easy, one tap access to subdivisions, meters, accents and sounds tempo range from 30 to 400 beats per minute loud and clear metronome sounds inertial scroll wheel for changing the tempo universal app Pro features metronome presets pitch pipe tap tempo tuner soundback metronome flash Sequencer allows you to have a series of sequences consisting of different bars, tempos and time signatures played one after the other Colour Themes allows you to select different colour themes for your user interface (Morning, Silver, Dark, Twilight, Deep Sea) Cadenza is constantly updated with new features. f there is anything you would like to see in the next update, just drop us an email, we love great ideas. You can also join us on Facebook https//www.facebook.com/CadenzaApp Twitter https//twitter.com/CadenzaAppiOS ¹ Based on number of downloads. 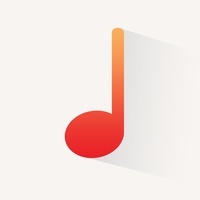 Check these links to find your download for Cadenza: Chromatic Tuner and Metronome for Guitar, Bass, Violin, Cello, Clarinet, Flute, Trumpet and More for & iOS or for your device iPod TouchiPhoneiPad. 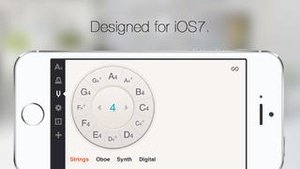 The app Cadenza: Chromatic Tuner and Metronome for Guitar, Bass, Violin, Cello, Clarinet, Flute, Trumpet and More is compatible with te following devices.